Here are the Binweevils Jack O Lantern Hunt cheats to help you find all five pumpkins. Each pumpkin unlocks a free Plushi that you can hang on the wall in one of your rooms in the Nest. This Binweevils hunt shouldn’t take you very long as long as you follow our walkthrough cheats guide. This should only take a couple minutes and then you will get your free prizes. Let’s get started shall we! You can get the clues by clicking on the individual pumpkins. The first clue for the first pumpkin is “Where can you shop til you drop?” Well that’s easy right! Head on over to the shopping mall and you will see the Jack O Lantern laying right next to the ATM. The second clue for the second pumpkin is “Where can you read Best Nest, while also having a rest?” Ok, let’s go to the Weevil Post in which you will find the second pumpkin laying there on the floor behind you. The third clue is ” Where can you play games underwater but not get wet?” This one was a little tricky at first but it makes perfect sense. Go to the submarine like you are going to play the game battleship. You will see the pumpkin next to the captains chair. The fourth clue is ” Where can you race free, on tracks that aren’t 1, 2 or 3? Go to the race track and click on the Track Builder. I think you will be surprised at what you might find! The last clue to find the last pumpkin is ” Where is there a secret missions HQ, that is not so secret?” Alright, all you have to do here is head to the Castle Gem and go to the headquarters and you will find the last Jack O Lantern laying on the table. Well, there you have my little Weevils. We hope you enjoyed this Jack O Lantern Hunt cheats walkthrough and hope you enjoy your new Plushies. Hi guys, we have new Binweevils codes 2016 for all of you to use in the game. Binweevils codes are a great way to unlock unique items within the game including, nest items, XP, Mulch and even Dosh. Throughout the year Binweevils releases codes to us in which we can pass them on to you. We hope you enjoy using these new codes. 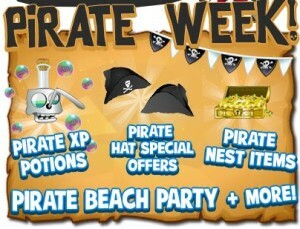 Make sure to check back every week as we will keep updating this page with new codes during the year. 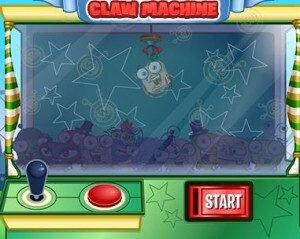 To unlock the codes you must go to the Binweevils website and head over to the codes generator. There you can type each code in one by one in hopes to get a free prize. If the code is valid and or you spelled it correctly then a unique prize will be added to your profile. If it says the code doesn’t work then that means you have either already used it or you mispelled the code. Like we said, we will be updating this page every week so make sure to check back often to get the latest Binweevils codes 2016. You can only use these codes once per account. Pass this link to all of your friends to let them know about the new codes!